I sometimes go through two pounds of coffee a week at home. That’s alot of coffee and I sometimes drink it with a creamer. When I’m not home finding a vegan creamer at a coffee shop or restaurant isn’t easy and is usually impossible. SoyGo is trying to fix that. SoyGo Soy Creamer is a soy-based powder coffee creamer in a small, travel-sized packet that’s easy to carry wherever you go. Very welcome to the vegan or health conscious who don’t want the unpronounceable chemicals in most powdered creamers or a non-dairy creamer in their coffee. 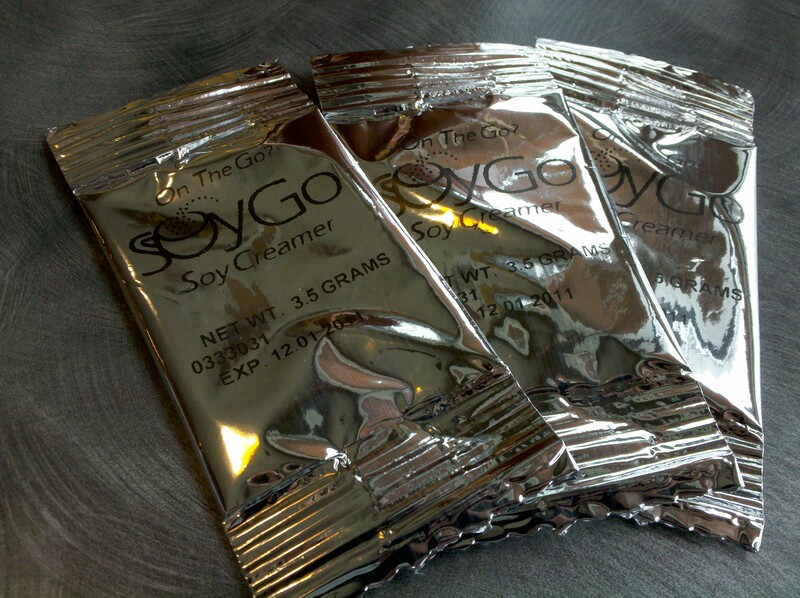 SoyGo Soy Creamer is available in handy, travel-sized packs. A single pack of SoyGo gives enough creamer for an 8 ounce cup of coffee. Much more coffee than that and you’ll need a second pack of SoyGo to get the flavor and proper results. 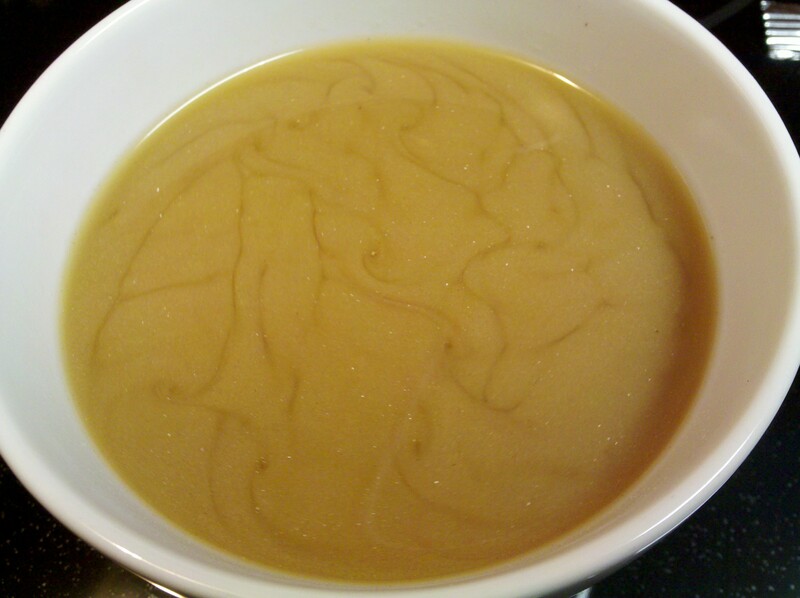 It’s been a couple decades since I used a powdered coffee creamer such as CoffeeMate so I don’t remember how well it dissolves but SoyGo needs a very good stirring before breaking down sufficiently and then it still leaves a powdery swirl in your cup. I stirred for about 30-40 seconds yet the majority of the powder had still not dissolved. The flavor is there, lightly but I would prefer it dissolve better. At the bottom of your cup you will find a sludge of soy powder goo once you drink the coffee. After stirring for a bit there's still some SoyGo that doesn't seem to dissolve. 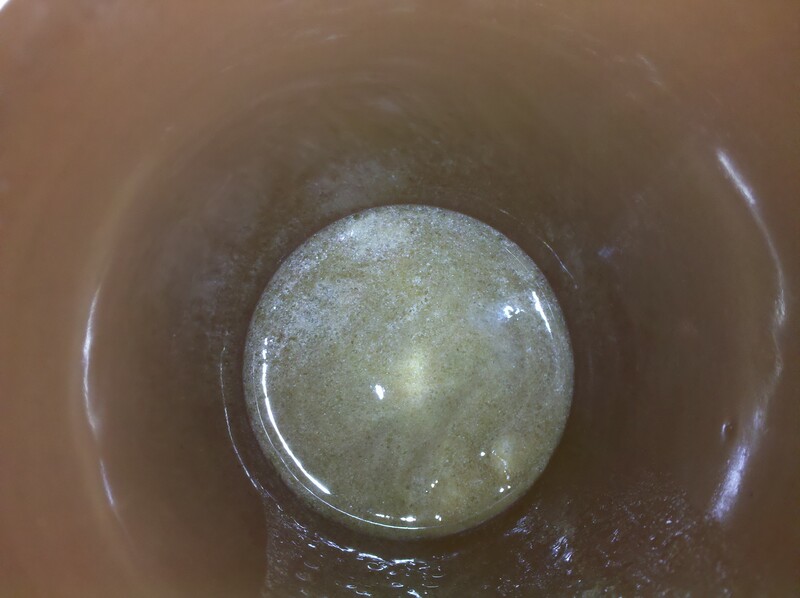 After drinking the coffee SoyGo residue is left in the bottom of the cup. Overall, SoyGo is a welcome product. I like having the option to get a cup of Sock Juice (brewed coffee) while away from home and have the option to add a vegan creamer. I would like to see it dissolve a bit better and maybe a half-ounce more product per packet so a larger cup or mug of coffee can be fixed up with just one pack. With that said, I’ll be sure to take a few packs with me on road trips. It will come in very handy at those coffee shops where vegans are never taken into consideration at the condiment bar. SoyGo Soy Creamer is available at most Whole Foods locations including Coolsprings and Green Hills. You can find it in the baking aisle near the cocoa in both of those stores. It is also available directly from SoyGo, Amazon and some other online vegan outlets. For more information on SoyGo Soy Creamer visit SavingOpusOne. I purchased SoyGo and was sadly disappointed. It didn’t give my coffee that creamy satisfying taste. I travel frequently and am unable to take my Trader Joe’s Organic Soy Creamer with me. 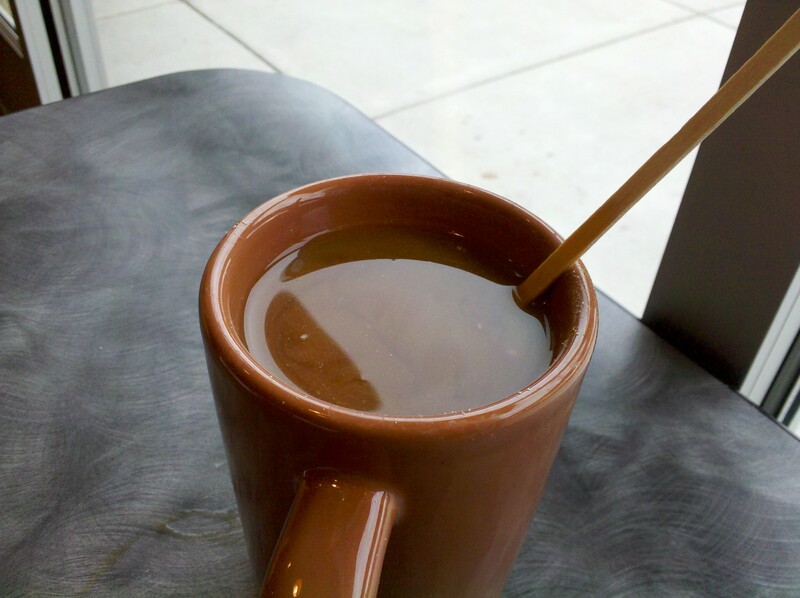 Coffee houses typically only offer soy milk which does little. I was in Seattle for other business and asked various different coffee houses if they have considered offering a non-dairy creamer to their menu. The coffee capital of the country does not yet appear ready for this movement.